Organic gardening companion planting means grouping a variety of different, mutually beneficial plants together in the garden. e.g. Plant corn in the middle of the bed with snake beans climbing up. Peanuts can be planted as a ground cover to stop the weeds. 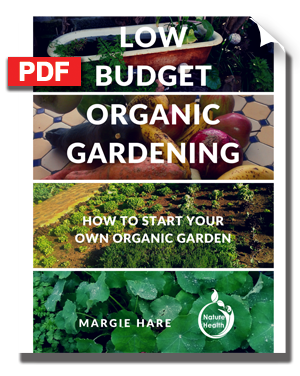 This organic gardening ebook is the second in a series of books that focuses on how you can garden on a low budget and in a variety of situations. 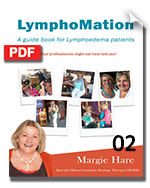 In this book Margie Hare focuses specifically on companion planting - a very important component of a healthy organic garden. 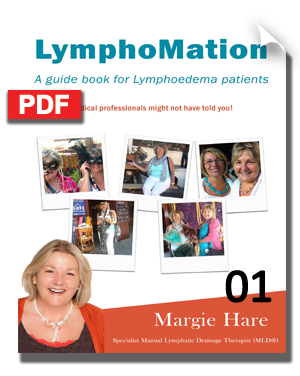 You will learn insights from Margie's life-long passion for organic gardening and herbs across two continents, including winning Herb Woman of the Year in South Africa. 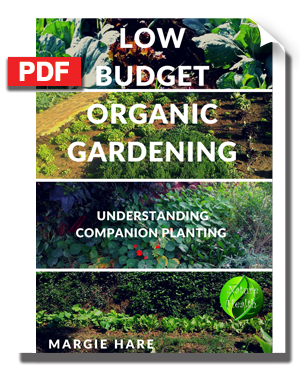 This organic gardening PDF focuses on how you can mix different types of plants to promote growth, improve the soil, keep away the pests and encourage the polinators. All great advice for you, the beginner, or even the practiced amateur. 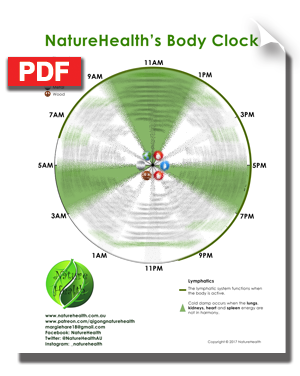 The ebook is in PDF format and is 18 pages long including images. 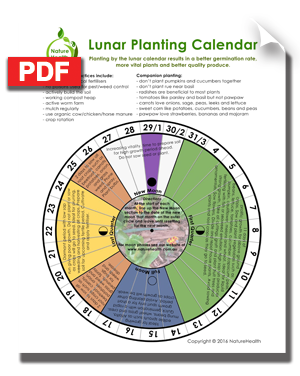 the Nature Health Lunar Planting Calendar.